Here is a selection of books from our collection about immigrants and refugees and their experiences leaving their home countries and adjusting to life someplace new. These titles are only a sample of what you can find in our full collection. At a birthday celebration on the beach, Cora gives her grandmother a special gift and encourages her to make a trip back to her home country, Cape Verde. 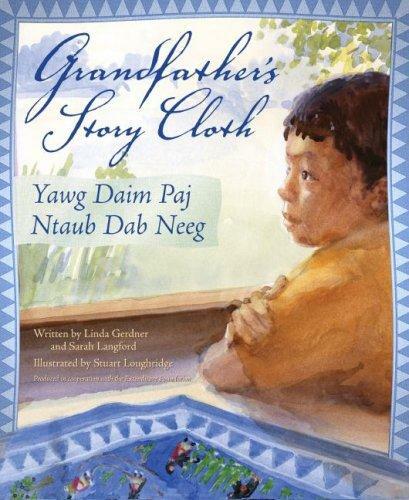 Ten-year-old Chersheng helps his beloved grandfather cope with his failing memory, brought on by Alzheimer's disease, by showing him the story quilt Grandfather made after fleeing his homeland, Laos, during wartime.